Note: The following post appears as my sports medicine column in the October 25, 2012 issue of The Post and Courier. It is the first of a three part series discussing injuries in cheerleading. In part two, I share some statistics about injuries, injury type and mechanisms of injury, and risk factors for injury. In part three, I share some recommendations to prevent injuries in cheerleading and keep athletes safe. Millions of fans watch football games every year. While we almost expect injuries to occur on the field, most of us rarely consider the injuries that occur just a few feet away. A policy statement released Tuesday by the American Academy of Pediatrics offers surprising statistics regarding injuries in cheerleading and recommendations to decrease them. Tucked deep in the paper, though, is the most pertinent, and controversial, argument. The American Academy of Pediatrics now calls for cheerleading to be recognized as a sport. The NCAA does not currently list competitive cheerleading as one of its sponsored sports. The high school athletic associations of only 29 states recognize cheerleading as a sport. As of 2009, approximately 400,000 athletes participated in high school cheerleading and about 123,000 participated on competitive cheer teams, according to data from the National Federation of State High School Associations (NFHS). As long ago as 2003, there were over 3.6 million cheerleaders ages 6 and older in United States. As the AAP’s Council on Sports Medicine and Fitness points out, the overall injury rate in cheerleading is fairly low. At the high school level, the overall rate of injuries per 1000 exposures is significantly lower than that of gymnastics, soccer, basketball, field hockey, softball, and volleyball. Unfortunately as cheerleading has become much more athletic with the incorporation of risky acrobatic stunts and tumbling passes, serious injuries do seem to be increasing. About two-thirds (65%) of catastrophic injuries that occur among female high school athletes result from cheerleading, These catastrophic injuries in cheerleading include closed head injuries, skull fractures, and cervical spine injuries that result in paralysis, brain damage, and death. Cheerleading accounts for over 70% of direct catastrophic injuries among female college athletes. Likewise, between 1998 and 2008, concussions in cheerleading increased by an average of 26% per year. This increase is larger than that of any other girls’ sport. For years I’ve argued that it doesn’t matter whether or not cheerleading was called a sport because it was essentially a legal distinction. I have always believed, though, that cheerleaders are athletes. The power, agility, balance, and stamina required in modern competitive cheerleading is unbelievable. And injuries often result from these complex maneuvers. The ACL tears, broken bones, and dislocations from cheerleading are no less painful or easier to return to activity than those of the officially recognized sports. 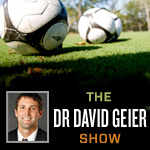 Cheerleading: Real athletes, real injuries – In the Zone segment from Episode 5 of The Dr. David Geier Show. The American Academy of Pediatrics argues that the designation of cheerleading as a sport does, in fact, matter. Being classified as a sport by the NCAA or NFHS would provide cheerleading teams the same benefits and protections as their schools’ other sports. Presence of certified athletic trainers, access to medical staff and physicians, certification of coaches, more suitable and maintained practice facilities, and required preparticipation physicals, which are regulated by sports’ governing bodies, would be available to cheerleading. In addition, injuries from cheerleading are not uniformly collected by NFHS or NCAA injury surveillance systems. Most cheerleading injury data derives from a handful of epidemiology studies. Better nationwide injury data could lead to better recommendations for injury prevention and, hopefully, safer athletes. I realize the negative reactions this idea might receive from many sports fans. I would ask detractors who regard cheerleading to be an activity where groups of students lead cheers on the sidelines of football games to witness modern competitive cheerleading before rushing to judgment. Cheerleading is a sport with real athletes and real injuries. Cheerleading Injuries: Epidemiology and Recommendations for Prevention. Council on Sports Medicine and Fitness. Pediatrics; Volume 130, Number 5, November 2012. Is cheerleading more dangerous than other sports?